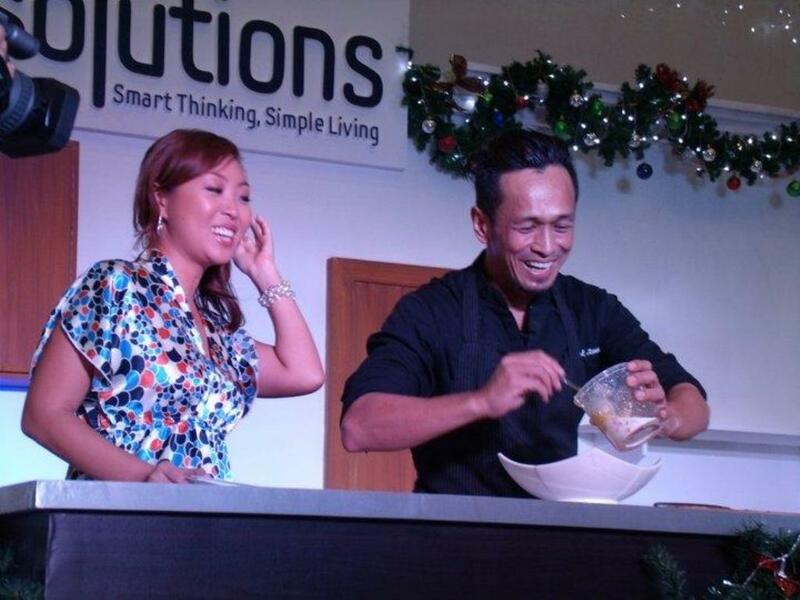 Let me share to you a chillaxing story that I witnessed during the holidays. 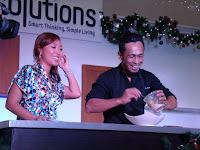 A story that made the lives of all the spectators so easy, they got to enjoy the Yuletide season with their love ones. 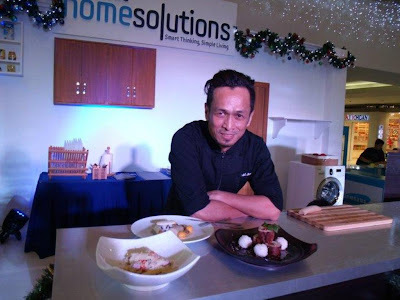 This is the story of Chef Sau De Rosario as he graced and shared to us a holiday menu that was prepared no-sweat with Samsung Home Appliances at SM Megamall. 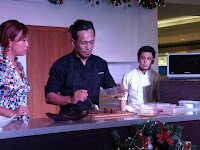 Sam Oh, host of cooking shows of QTV11, hosted the event. 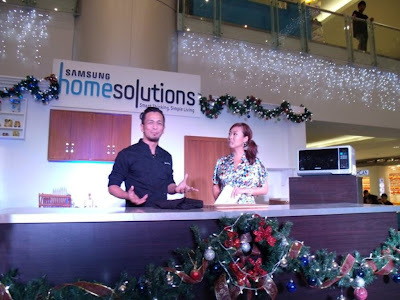 She shared and demonstrated to us these amazing new appliances that Samsung prepared for this busy season. There’s the French Door Refrigerator, which Chef Sau highly recommends because of its amazing features and style. 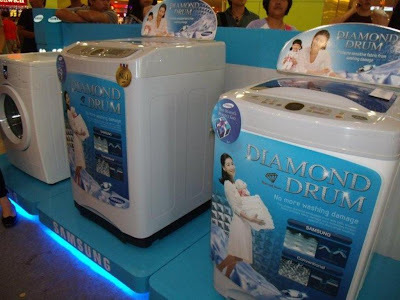 There’s the Front Load Washer and Dryer that can take very good care of your clothes and other linens. 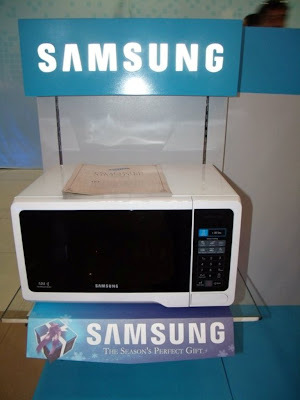 And there’s the Microwave Oven, which aided Chef Sau in preparing these delectable and easy-to-prepare dishes that I’m about to share to all of you. 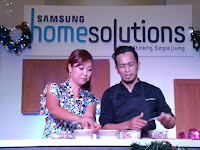 First, Chef Sau prepared a penne soup using the very reliable Samsung microwave over. 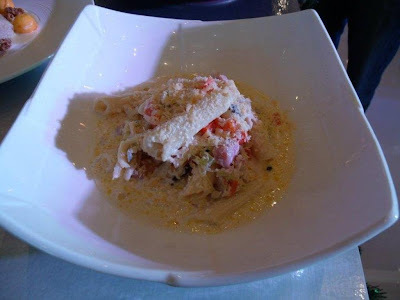 In 10 minutes, Chef Sau impressed everybody as he took from the over a smoking penne soup that can set everyone’s appetite for the holiday season. 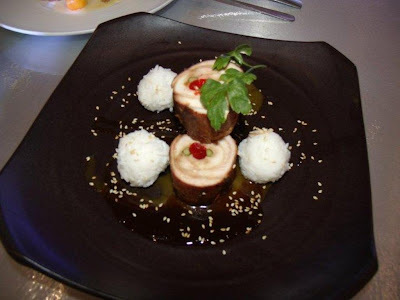 Next, he prepared a very attractive main dish that I myself found it really mouth-watering, a chicken roulade with mango, asparagus, cherries and teriyaki glaze with ball of rice on the side. The floor, the shape, the style – really Christmas-y! I love it! 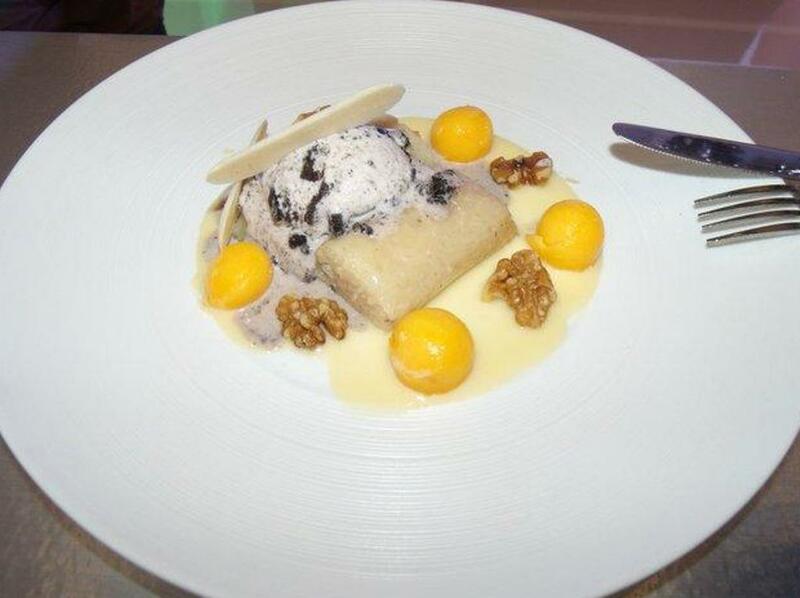 And lastly, for the dessert, Chef Sau modernized a well-love Christmas dish in our country - the suman with mango now comes with sorbets and lengua de gato. A real treat for the Holiday season! 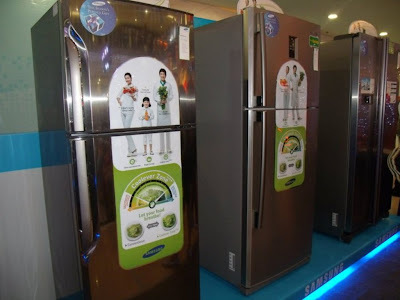 These three amazing appliances are now available in all major appliance stores nationwide, so if you still don’t have them, I guess, it’s never too late! Happy New Year, happy shopping!